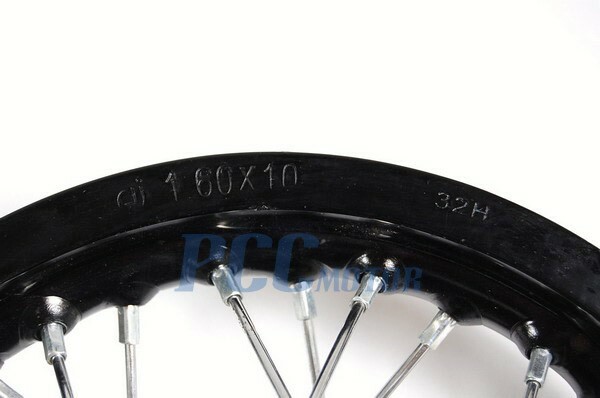 For DISC brake assembly ONLY! 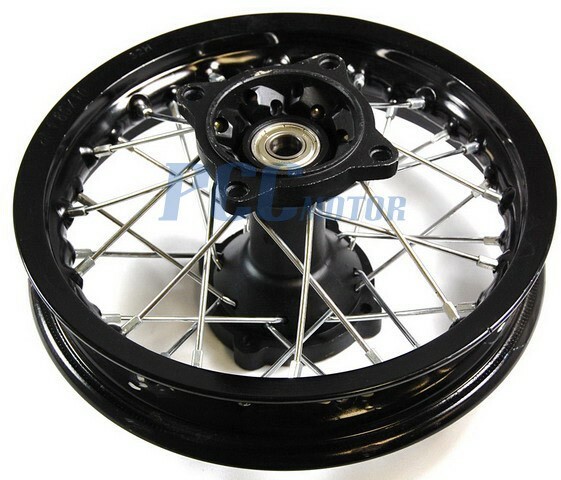 Heavy duty spokes and anodized alloy rim. It makes the bike more stable at high speed, stops wobbling, the bike will ROLL over obstacles easier, and it will also have more ground clearance. This is probably the best performance upgrade for the money. 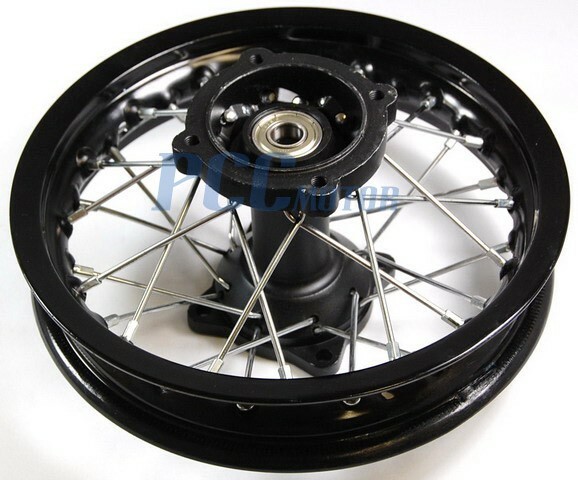 This rim should fit most Chinese made pit bikes with DISC brake assembly.